I don’t recall being on a more boring flight than this one. The usual characteristics of a flight back home are there: The thick Jordanian and/or Palestinian accents, the big passenger next to you who loves to invade your space and hog the arm rest, the indifferent cabin crew, the crying babies. You know, the usual stuff. What makes this flight/trip any different though to other ones is that there is slightly more purpose to it than usual flights. 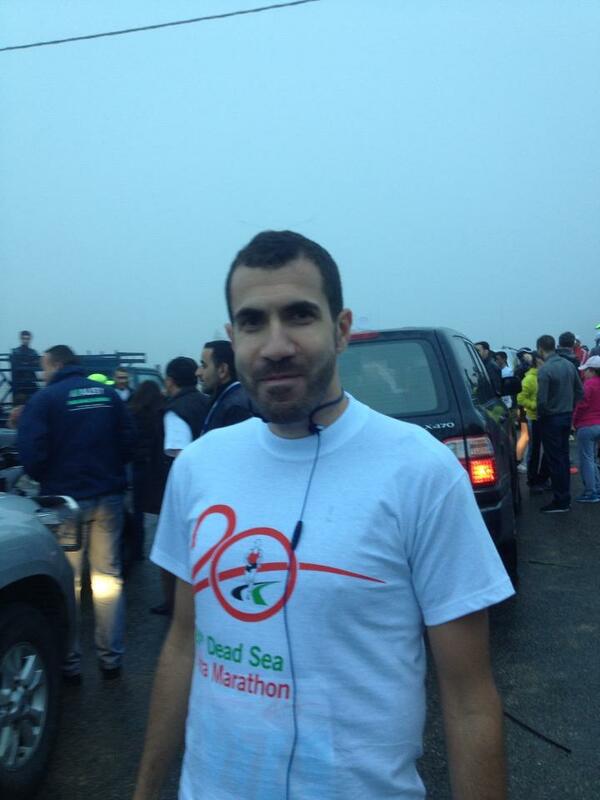 In a few hours will be running my first ever full marathon, the Dead Sea marathon. 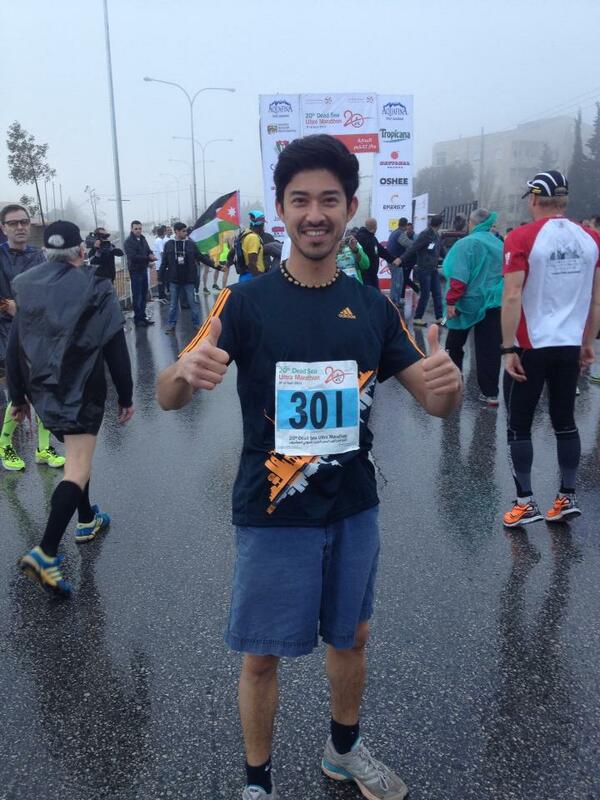 I never traveled to run, the farthest I have for any runs were for half marathons in Abu Dhabi and RAK in the UAE. Both were an hour or so drive away from Dubai. This is the real deal. A proper full one. All 42 point something kilometers of it. Am I ready for it? Well, I’d be lying if I said I am. I know I haven’t trained amicably. I know I have no clear fueling strategy but I am hoping for the best. I am reminding myself that I wasn’t exactly ready when I did my first half marathon just over a year ago and I did okay, actually I did much better than I expected. Challenges I anticipate? The surface of the roads, the distance (duh), the route and the elevation in various areas of it, the fact I never ran outside my comfort zone before, how I should and will refuel during the race. All these things are on my mind as we get closer to the destination. Will get a few hours of sleep then hopefully be energized enough to finish this race. Hopefully I will finally be able to call myself a marathoner in 12 or so hours! As it is usually the case with me and blog posts, I’m not sure where to start, so bear with me as I ramble from one topic to another. In February earlier this year I had already completed three half marathons and was about to complete my fourth half marathon, and I was wondering if it was about time I attempt tackling a full one. I spoke to a couple of friends about it and consulted Angeline Wehbe, the extremely helpful and friendly trainer at the ABRaS AC running club for her opinion and she duly told me that I have enough time to prepare as long as I start my long weekly runs in the same week, which I did. My aim was to do a marathon around April/May but wasn’t sure which one. 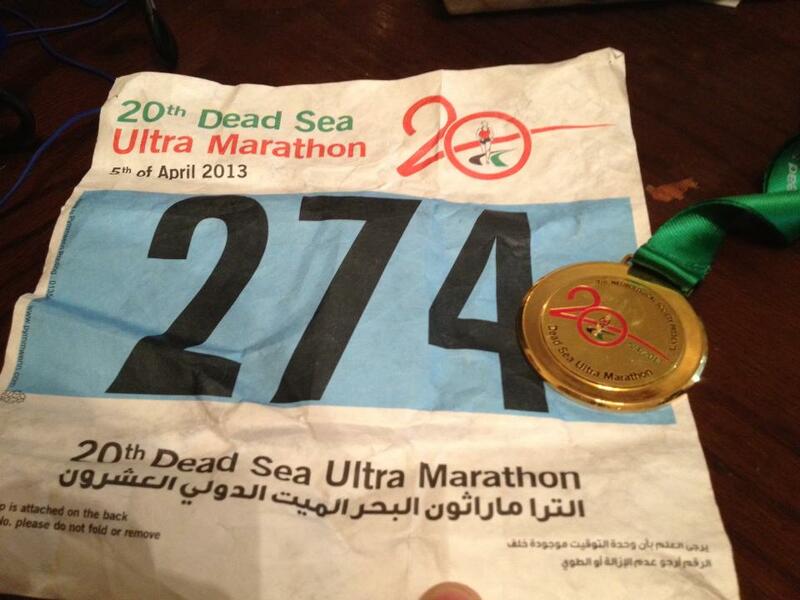 Ended up choosing the Dead Sea marathon. I had some difficulty signing up as there was an error on the website, some information on the website was outdated and their social media pages weren’t any better. I posted on their Facebook page asking how to sort it out which was only acknowledged two or three weeks later (After I sorted out the issue). No big deal there. Going back to my preparation, unfortunately I did not prepare properly, as I couldn’t do my long weekend runs in two weeks leading up to the run and my ‘long run’, the one that should be done two weeks before the big marathon covering 35 to 37 kilometers had to end abruptly at 31 after pulling a hamstring. The two weeks after that and the ‘tapering’ (No intense physical activity or training) were not easy, doubting whether I could finish the actual race or not, but I carried on with the light tapering runs and trying to eat properly as much as I can (I probably had more carbs in the week leading up to the run than I ever had in a whole month). 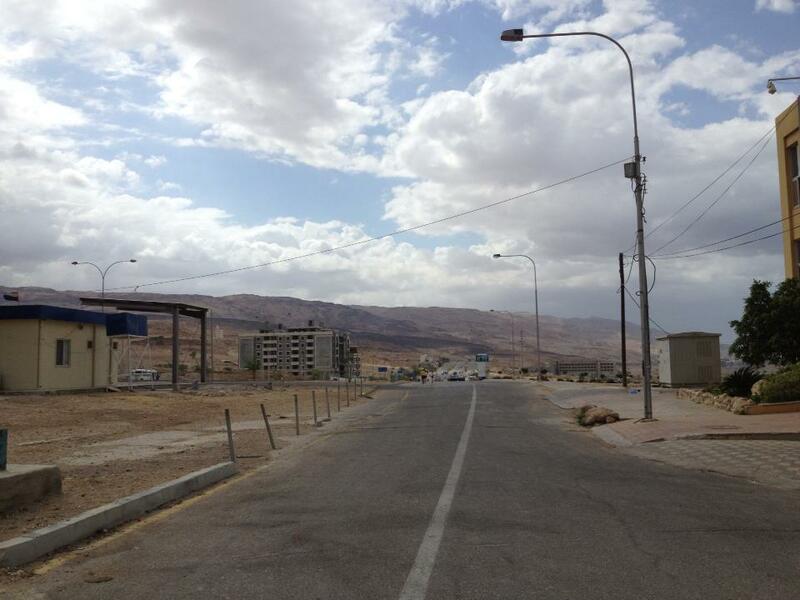 Come race day, traveled to Jordan the night before, typically the flight was slightly delayed and the luggage at the airport took ages to arrive, which meant even less sleep for me than I had anticipated. Luckily I wasn’t fatigued after 3 hours of sleep. The weather was being a bit bi-polar, the days leading to the race were quite warm in Amman from what my family told me, but luckily the weekend of the run saw a big dip in temperatures, very cloudy skies with some rain. The morning of the race was foggy, cold and drizzly, not that I minded it really (I love cold weather and I knew it would get warmer gradually). Was around 8 degrees at the time (yey!). Arrived at the start line 40 minutes before the run, there weren’t many runners doing the full 42k, my guess is that there weren’t more than 100 or 150 people at most (Maybe even less than 100). I think it would be fair to give the organizers credit for putting the final touches on the race and organizing things with all the last-minute weather changes (At the start line at least). So we set off with the gradual and long descent to the lowest point on earth. My plan was to take it easy and have a slower pace than usual, but as 70% of the route was downhill (5% was uphill and 25% was flat I’d say) the pace was faster than I had planned for, not a bad thing as it helped me with my time. My half-marathon time was 1:52 hours (I think this was my second best time), but then again this was aided by the downhill route. I stayed well-hydrated along the route, had a couple of bananas and one pack of gel by the halfway point but then the road started getting more and more flat, the temperatures started rising and the clouds started dispersing. I had to switch off the music player on my phone as it was rapidly eating up my battery life (Listening to music is actually one of the main reasons why I actually run). In other words my legs started to gradually tire but I was fortunate to have a couple of steady runners nearby who encouraged me to keep up with them rather than slow down or walk. I stopped tracking my run around the 31-32km mark but I still had the runners to spur me on (And obviously I encouraged them as well in return). I was on track to finish the marathon in under four hours (Which would have been astonishing to me as I still had doubts in my head that I would even finish it, let alone do it in under four hours). The international runners: I personally love how friendly and easy-going they are, and it was nice to chit-chat with them before, during and after the run. They (Along with theiir families and/or friends who made the trip) were also the only ones (unfortunately) cheering on the runners at the finish line. 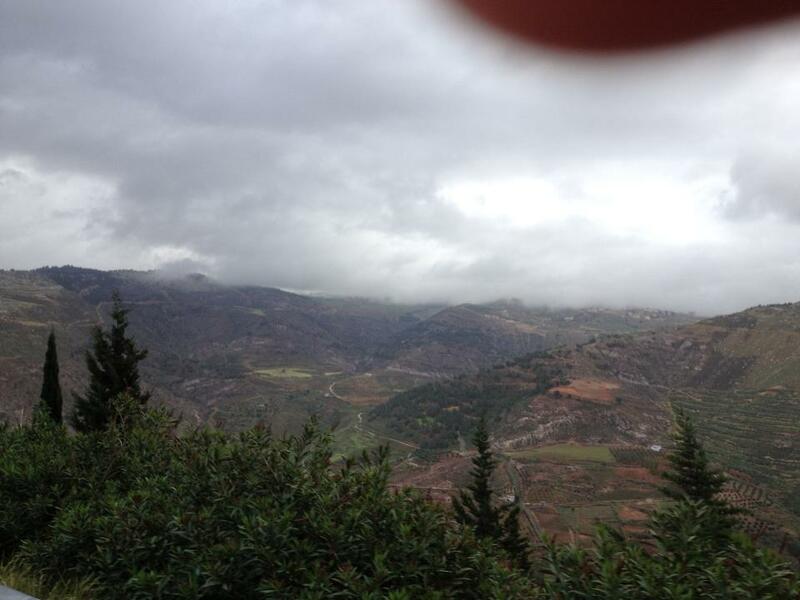 – Weather: The weather was brilliant for most of the race (Other than the last 10ish kilometers). Was cloudy and chilly in the remainder of the race and it actually drizzled! The route in the final 6 or so kilometers: It was chaotic. 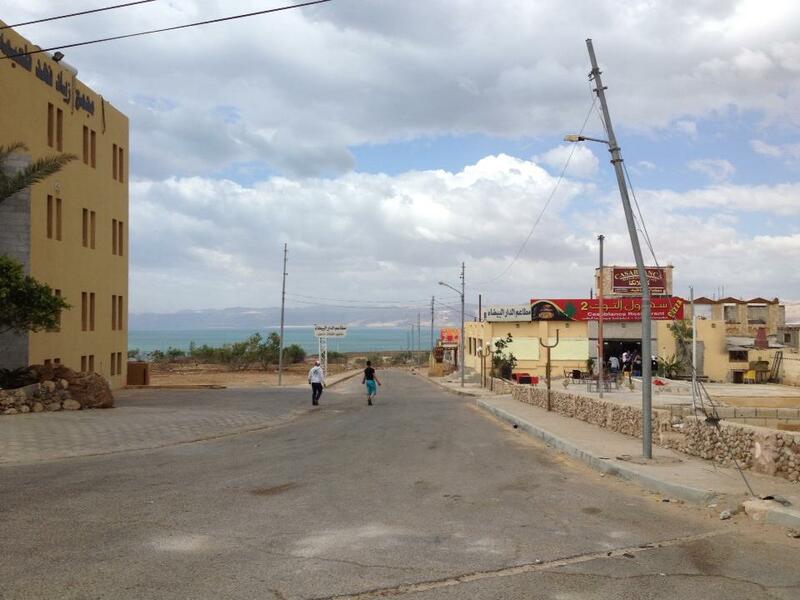 There was a 10km run that started an hour after the full marathon and ultra marathons started with all three runs ending at the same point by the Dead Sea. Most of the participants were school kids. As far as I know, it would take an unfit adult around an hour and a half to complete a 10km run, yet when I reached that 6k to go mark there were many kids strolling and fooling around, Now I am fine with that, but when you mix this with ‘nawar’ (Vulgar people) and sleazy low-class men who try to hit on and harass the school girls and the female international runners (And even some of the male runners) then you have a very bad combination. There were cars roaming around at the end, horses, salesmen and God knows what else as well. Not exactly something one would expect at an “international ultra marathon” event in its 20th installment. The organizers should have made sure that nobody can roam around that area and invested some effort in having people cordon that area off. The medal: It was cheap and it was disappointing to find out that the people who ran the full ultra marathon end up getting the exact same medal that a 10k runner (read: stroller) would get. The marathon village at the finish line: The school kids and the 10k runners presumably finished up most of what was there. I could only find water and apples, no juices, nothing. The price: International runners beware as you might feel you are being ripped off. What an international runner is paying is a much higher price than local runners. I paid around $20 to take part, while an international runner would have had to pay $110 if I am not mistaken to participate in an event that costs $20. 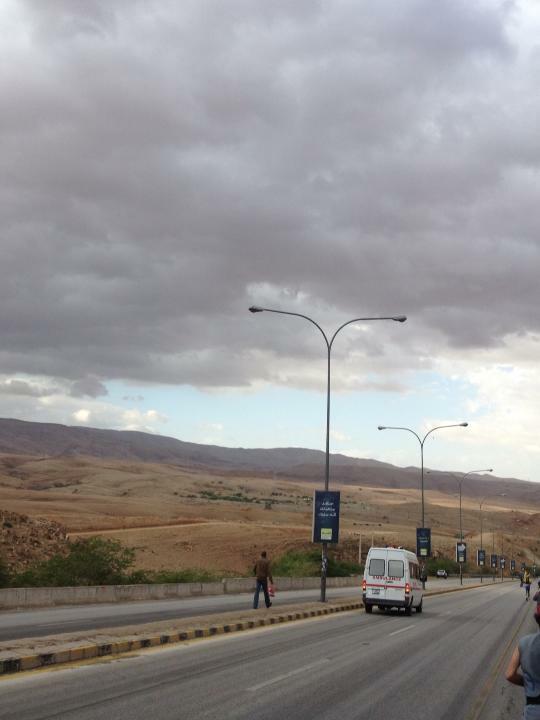 The ‘nawar’ (Vulgar people): Not something that could be controlled by the organizers really, but I think it reflected poorly on the country that there were so many ‘randoms’ along the final stages of the route which was must have distracting and confusing. Communication: They could do better at social media and at updating their website. Not a major issue for me, but it is to other runners who are not familiar with the country/geography etc. – The results: I know we are spoiled in the UAE (I usually get results before I even reach home from my runs). Till now I do not know what my official result is. According to the organizers’ via their official Twitter account they will be out in 10 days (TEN!). After nagging to them on Twitter and Facebook they expedited the process and had them uploaded by Sunday (3 days after the race). Hail the power of social media! 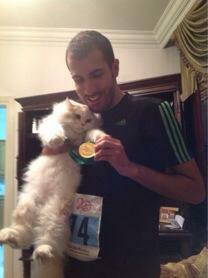 Hi Omar, great to read your experiences of your first marathon. I did the 50k there a couple of years ago and it is a bit of a pity that the organisation are still making the same mistakes. Having said that they were very helpful when I registered and the run itself was great, apart, as you say, from the crowds at the end. Although, I did have a great experience of a local 16yr boy seeing my frustration of trying to run through the crowds and took it on himself to run with me and clear the way! Great to see you are already planning the next and it is a great way to also see city’s you want to visit. If it’s ok with you I’ll post the link to the report in the next ABRaS newsletter. See you at training.